Nizamabad: MLAs from the TRS are working hard to ensure the victory of their Candidates from the Nizamabad Parliamentary constituency in the ensuing elections. 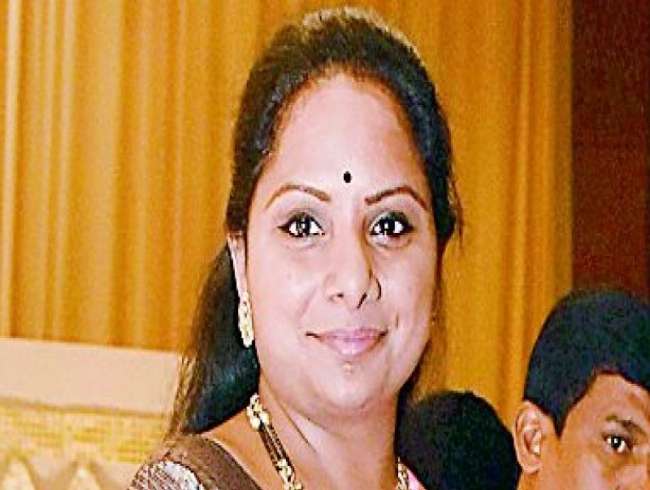 From the TRS, all the seven MLAs are working hard for the victory of MP candidate and Chief Minister K. Chandrasekhar Rao’s daughter K. Kavitha. In view of separate elections for both Assembly and Parliament constituencies, MLAs have had to work full time for the LS candidates. On behalf of MP candidate K. Kavitha, MLAs are campaigning rigorously in villages. Speaking to Deccan Chronicle, a senior leader from TRS said, “Getting the highest majority in the Parliament elections will benefit the MLAs in the future. With the MP election result, their calibre and sincerity will be proven. The TRS high command is extending all support to the MLAs so that a good result is achieved,” he said. For instance, Bodhan MLA Shakeel Amer is criss-crossing the Bodhan Assembly constituency on a motorbike for campaigning. He is confident of getting the highest majority for Ms Kavitha from Bodhan. He is seen regularly interacting with people from various communities and organisations to garner their support for Ms Kavitha. On the same lines, Nizamabad Urban MLA Bigala Ganesh Gupta, Nizamabad Rural MLA Bajireddy Govardhan, Armoor MLA A. Jeevan Reddy and minister for transport and Balkonda MLA V. Prashanth Reddy are visiting their respective Assembly constituencies to garner the support of voters. TRS leaders believe that Ms Kavitha's victory will be a cakewalk for them and are concentrating on getting the highest majority.